At New York Comic-Con this year, Netflix’s terror game was spectacularly on point with The Haunting of Hill House. 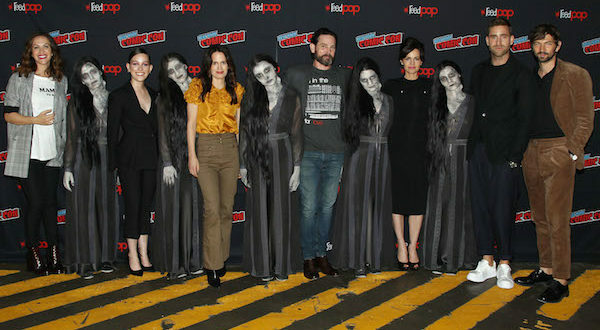 Cast members Michiel Huisman, Elizabeth Reaser, Carla Gugino, Henry Thomas, Kate Siegel, Oliver Jackson-Cohen, Victoria Pedretti were on hand to discuss the upcoming series that comes out on the streaming service October 12. The show is a modern retelling of Shirley Jackson’s 1959 gothic horror novel of the same name centering around siblings who grew up in the most haunted house in the country. The Haunting of Hill House will have two timelines following the kids and their parents as they occupy Hill House and then flashing forward to the group as adults after a tragic event strikes and forces them to deal with the ghosts of their past. During their press conference, cast members talked about what a pleasure it was to work with director/producer Mike Flanagan (Hush, Oculus, Gerald’s Game) who helms the series. 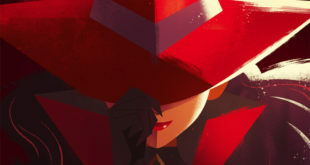 They also teased how audiences can expect something different from the book as themes, concepts and colors are shattered, but at the same time there will still be language and characters from the novel that die-hard fans will see in a new light. During their panel, fans were treated to some sneak peaks that were truly scary as heck with one scene depicting the youngest brother going down a dumbwaiter into a small and very dark cellar. He moves his flashlight around telling his sister who come down and get him when he suddenly sees a hand come out from behind a box. His flashlight then starts to flicker out as we begin to see a horrific looking dismembered body making its way to him. Sufficient to say most in the audience were freaked out. 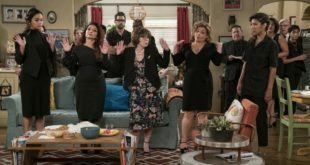 Another scene shows a young girl who’s fallen asleep on the couch with Carla Gugino’s mother tiptoeing away from her child. As the older woman disappears from view, the girl wakes up paralyzed with fear as a terrifying ghost woman hovers above her. NYCC attendees were also treated to a first glimpse of the Bent Neck Lady ghoul as the session ended with ten of them appearing on stage while the room was still dark from the scene screening. Needless to say this is the perfect show to binge watch just in time for Halloween.